The Apple executive in charge of iPhone engineering and responsible for the innovative--yet problem prone--antenna design on the iPhone 4 has left the company. Based on Apple's response to "antennagate", and Steve Jobs press conference to address issues with the iPhone 4, it seems unlikely that Mark Papermaster's exit is connected to the antenna issues. The headlines related to Mark Papermaster leaving Apple seem heavily weighted toward connecting the dots between the iPhone 4 antenna "death grip" and his leaving. The Wall Street Journal says Apple Executive Exits After iPhone "Antennagate", the New York Times declares Executive Leaves After iPhone Trouble, and The Register bluntly states Apple Hardware Exec Falls on Sword. The reason that it is unlikely that Papermaster's departure is related to the iPhone 4 antenna fiasco is that Apple has never admitted it's a problem. In order to have a sacrificial lamb take the fall for a corporate debacle there must first be a mea culpa where the corporation admits that there is a debacle. Apple has stubbornly and indignantly maintained that there is nothing wrong with the iPhone 4. The company told users they are holding the phone wrong. They directed whiny users to get a case to impede antenna interference if they really think it's that big a deal. Only after much media attention and user backlash did Apple finally agree to address the issue at all. While the fact that Apple announced a plan to distribute free cases to iPhone 4 users experiencing a problem might seem like an admission of guilt, Steve Jobs spent 75 percent of the press conference demonstrating that every smartphone has an antenna death grip issue, and extolling the virtues of the iPhone 4 as an engineering marvel. 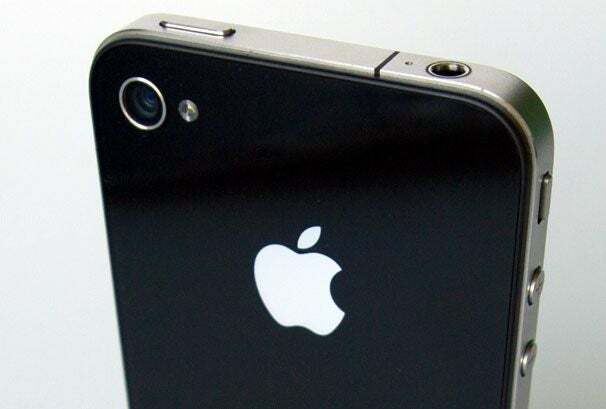 He even went so far as to claim--with a straight face--that Apple intentionally put the little line in the antenna at the bottom left corner of the iPhone 4 specifically to mark the position that users should not touch. What Jobs did not do, and what Apple has yet to do, is to actually state that the antenna engineering is faulty in any way, or apologize to iPhone 4 users for the design faux pas. If we accept the position of Jobs and Apple on the antenna issue, then it makes absolutely no sense for Papermaster to suddenly resign to take the fall. In fact, based on Apple's stance that there is no antenna issue, Papermaster's abrupt departure actually makes it look bad--like there is more turmoil going on inside Apple than it is willing to admit. Perhaps, if Papermaster is falling on the proverbial sword and taking one for the team, it's related to some other issue. Apple's position on "antennagate" is too entrenched for it to backpedal and take responsibility now. However, many cite the proximity sensor issue as a much bigger deal impacting the usability of the iPhone 4 as a--well, as a phone. If there is some sort of impending announcement from Apple about the proximity sensor, or some other hardware design aspect of the iPhone 4, then it makes sense for Papermaster to be the fall guy. Absent such a mea culpa, though, it's more likely that Papermaster simply chose to move on for his own reasons.